This morning I decided to accompany my daughter on her walk to school, simply because it is a longer route, it gives akachan more time to babble and bond with her and I was certain that by the time we completed the journey home he would be asleep. Did it work? Yes!! As I trekked around my eyes were drawn to the network of apartments with their minuscule gardens whether potted, boxed or the familiar tiny rectangular patches directly in the ground; the farming allotments juxtaposed among parking lots and road network. What a beautiful sight- especially now that it is spring and everything is growing, blossoming and blooming. I love it! "out of limitations comes creativity." 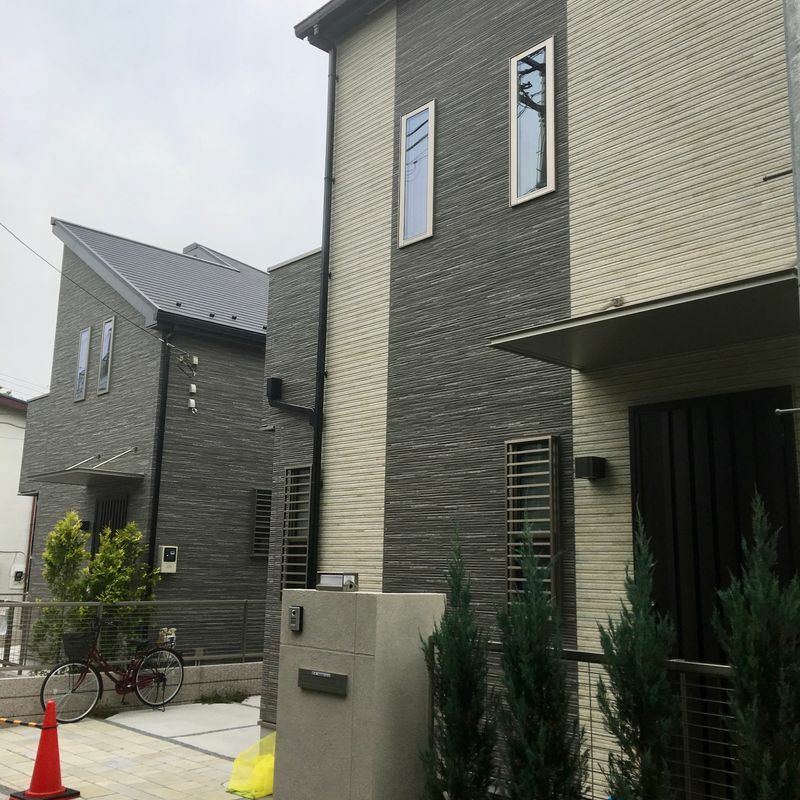 As a direct response to the growing population in Tokyo and the need for more living accommodation property developers are definitely becoming more creative with their use of space. Recently I was blown away by the number of buildings( 6 to be exact) I saw going up on what was a tiny lot with a small shed and overgrown foliage in my community. Talk about maximum use of space! I have not looked inside any of the buildings but I assume the spaces are standard Japanese sizes. Regardless of whether or not the rooms are small, the buildings are also aesthetically appealing with their modern designs and certainly conforms to the minimalist lifestyle that defines the overarching culture. Additionally, the architects and developers ought to be commended as their work no doubt contributes to the positive ripple of ensuring that occupants only can only take necessities (small spaces) resulting in less waste and ultimately the preservation of the environment.